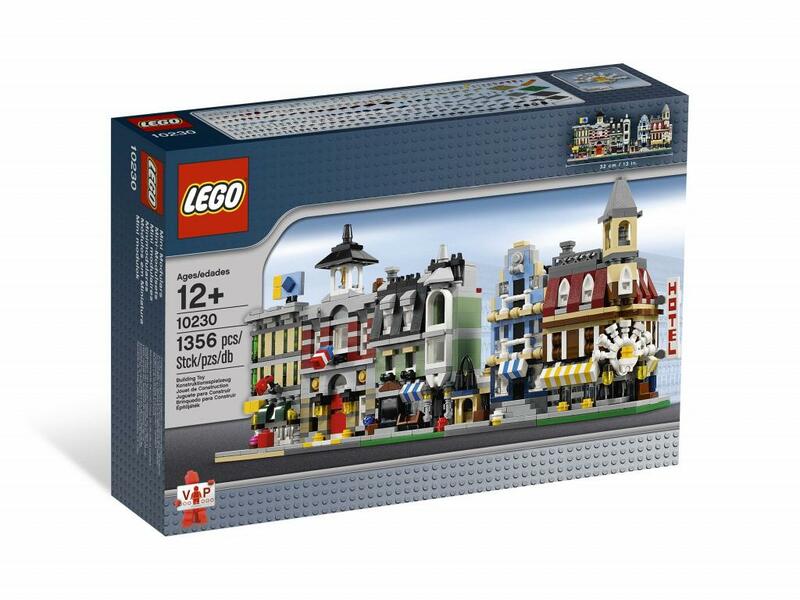 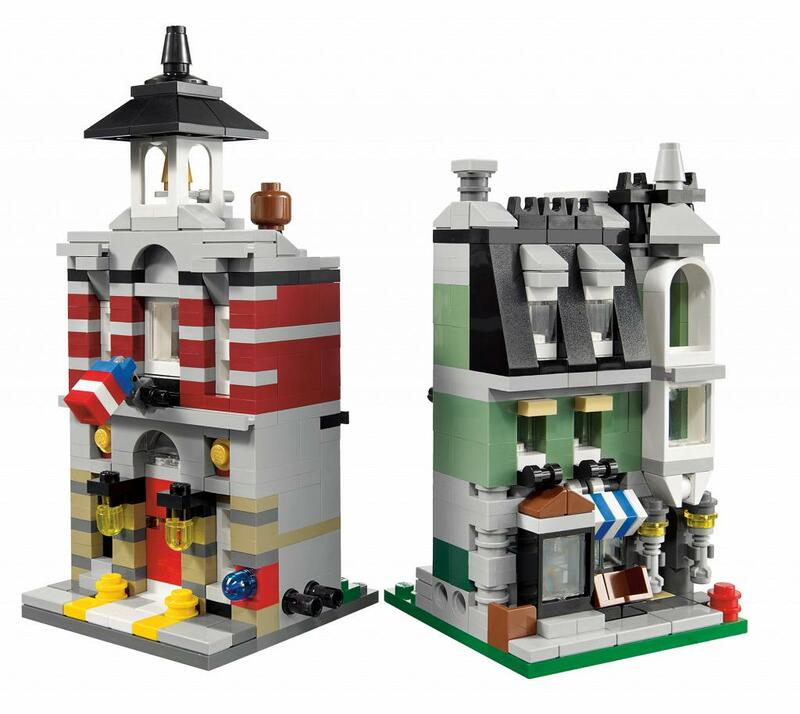 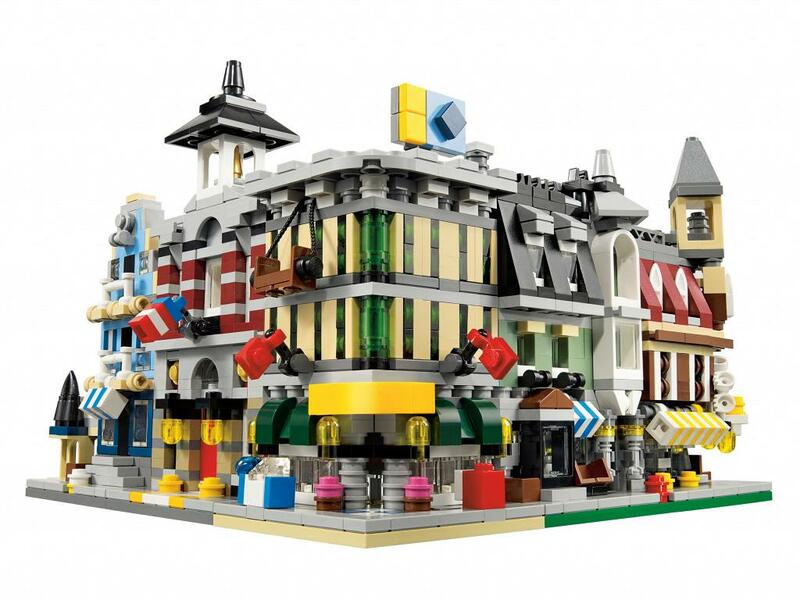 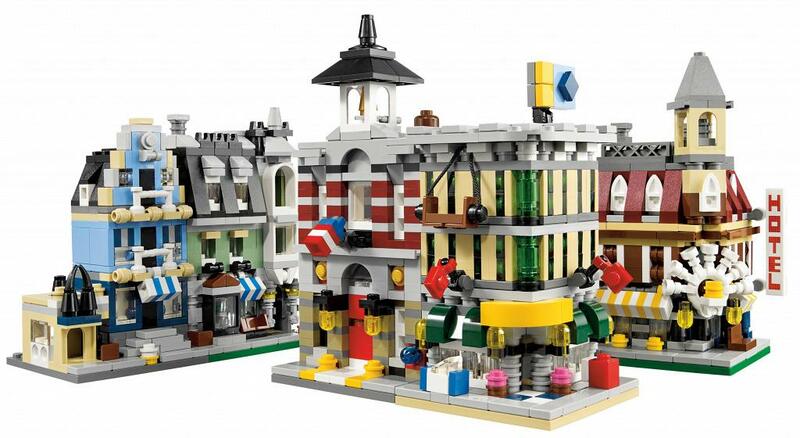 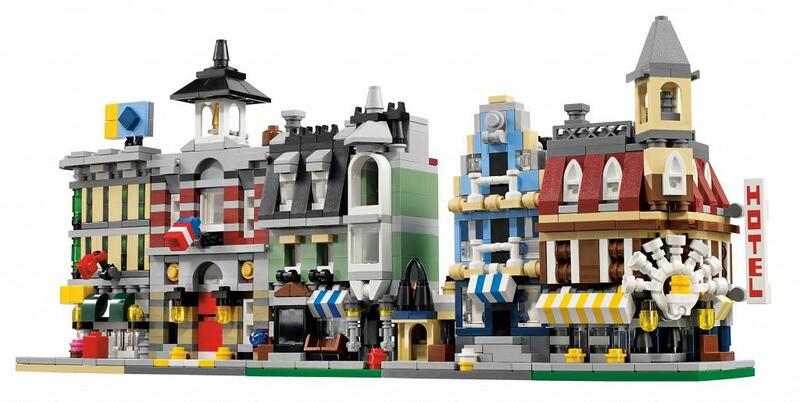 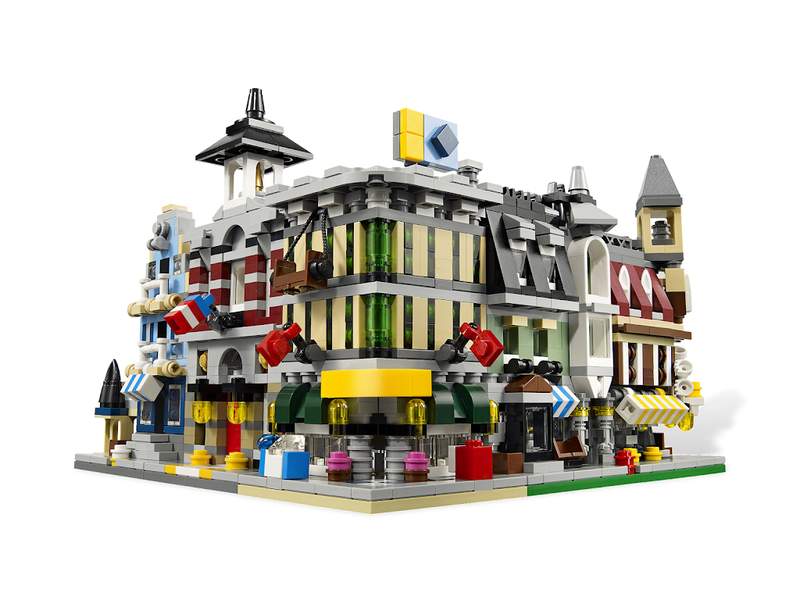 Available only to our LEGO® VIP Program Members, this exclusive mini modulars set is an authentic miniature representation of the first 5 buildings in the Modular Building series: Café Corner, Market Street, Green Grocer, Fire Brigade and Grand Emporium. 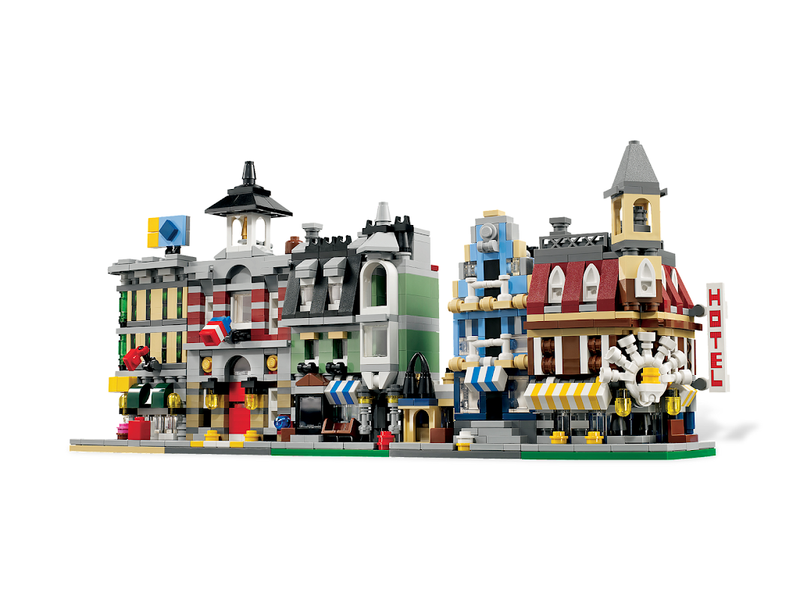 Featuring highly detailed design, each building can be displayed as a stand alone piece or connected to the others buildings in the set. 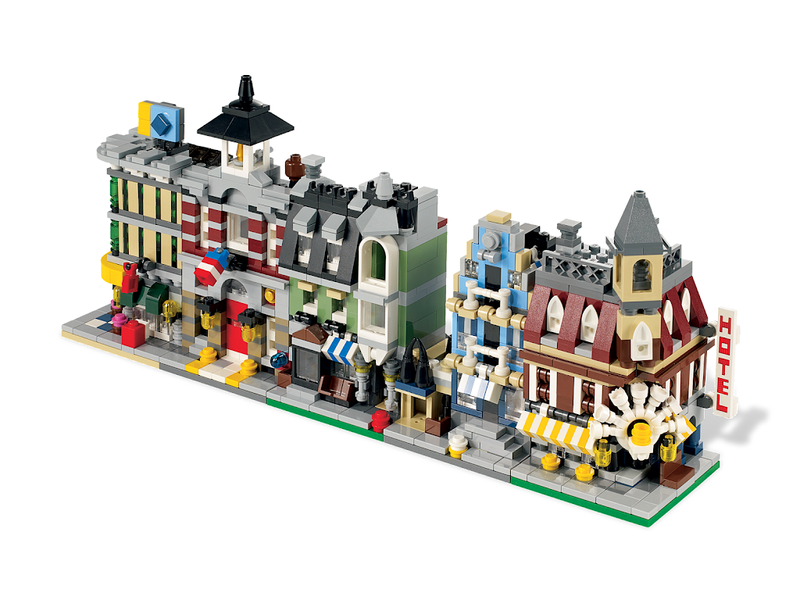 The mini Café Corner includes details like a fan above the doorway and printed hotel signage, while the mini Market Street includes transparent bricks and a unique brick construction. 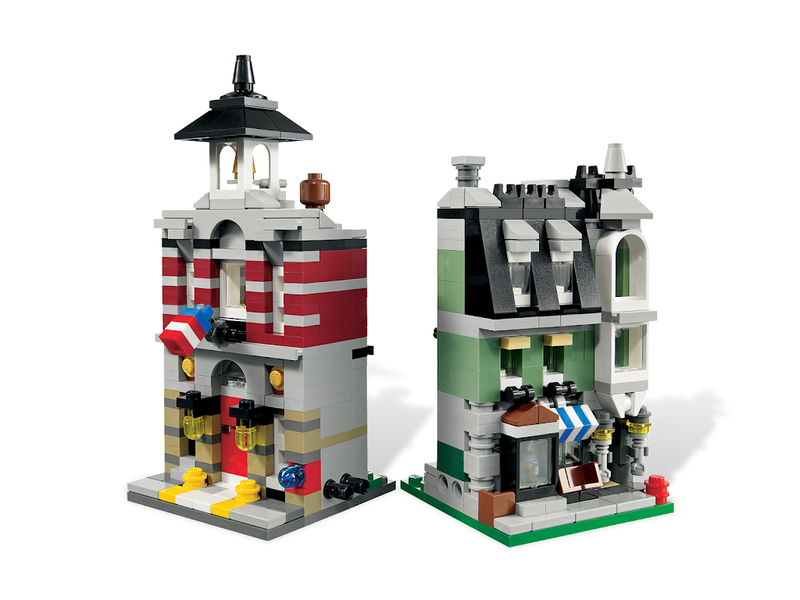 The quaint mini Green Grocer also features transparent bricks and a fire escape at the rear, while the mini Fire Brigade includes a brick bell and white arch wall elements. 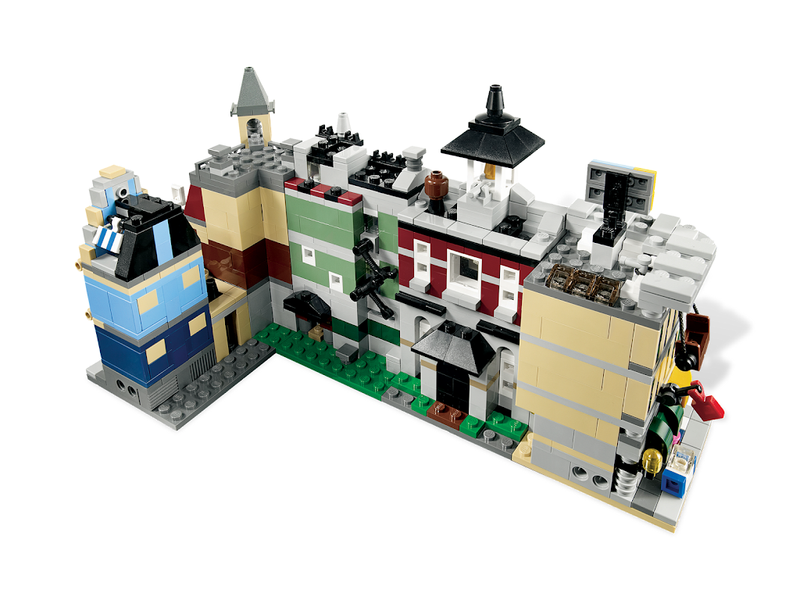 Finally, the mini Grand Emporium has a rooftop sign, skylight and window washing platform. 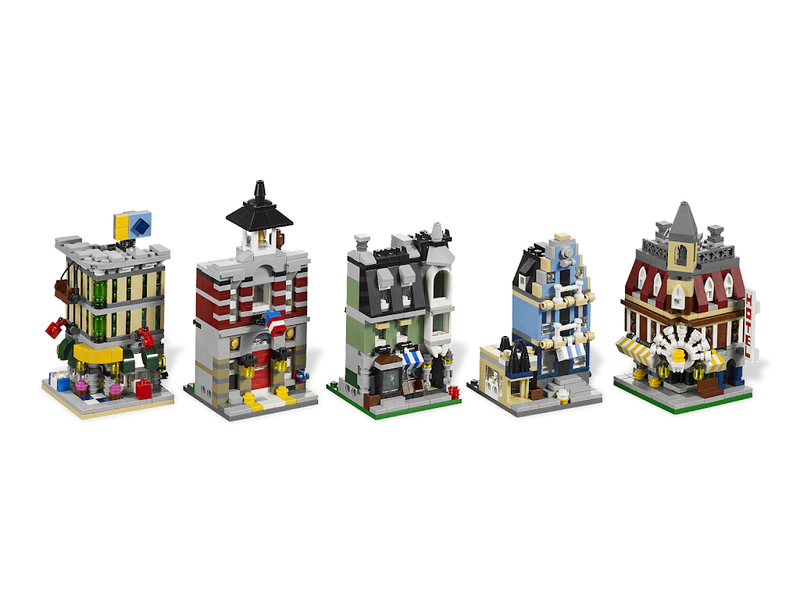 With fantastic detailing and a huge variety of elements in a range of rich colors, this exclusive mini modulars set is the perfect addition to every VIP Member's collection. 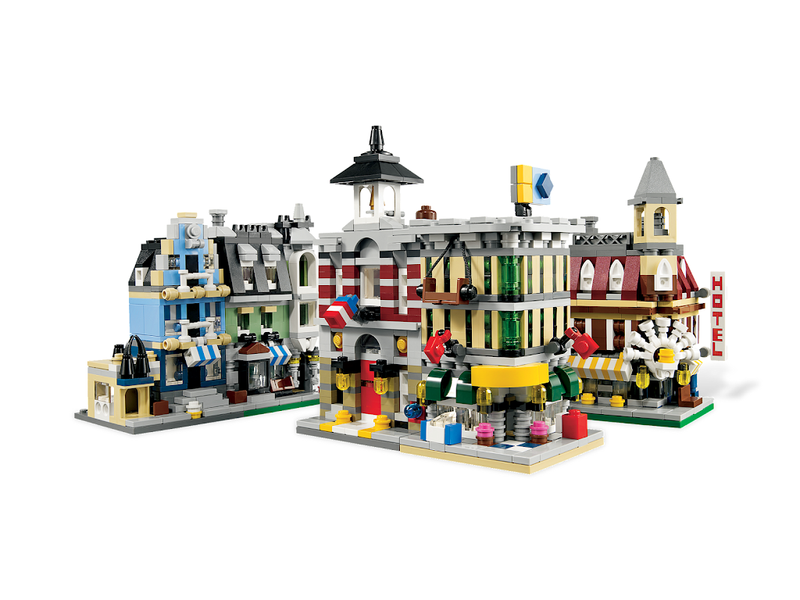 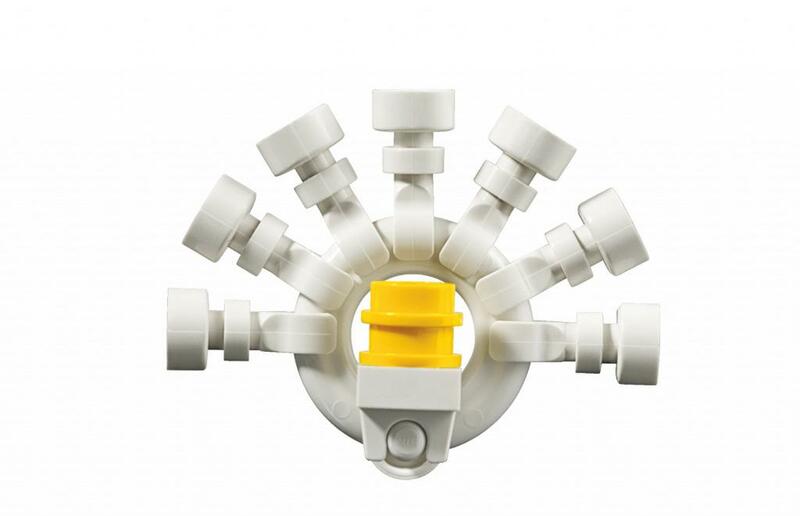 Available for sale directly through LEGO® beginning January 2012.